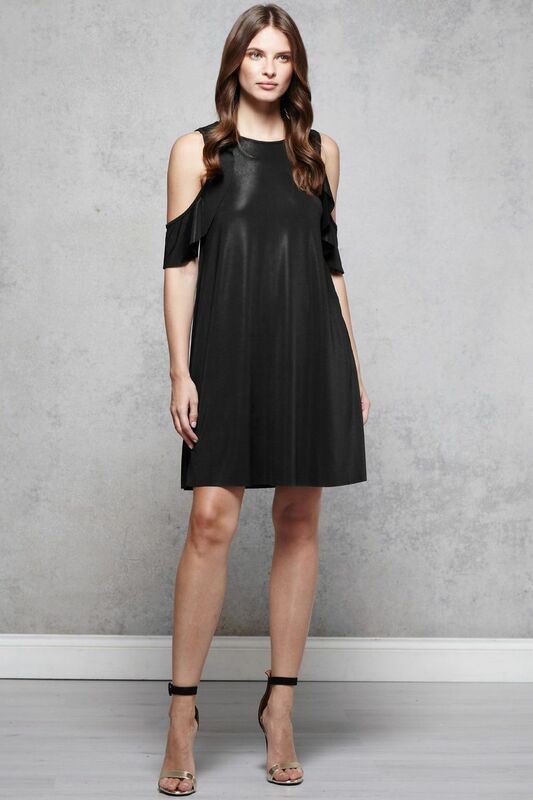 Iska London Cold-Shoulder A-Line dress is a day-to-night, chic LBD with a twist, combining style and comfort. Perfect for all body silhouettes, in soft lightweight stretch jersey fabric, has super flattering cold-shoulder cut with ruffles. 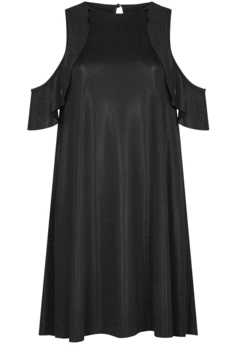 Has teardrop cut with button at the back, is not lined and is approx. 90cm in length. Winter collection. 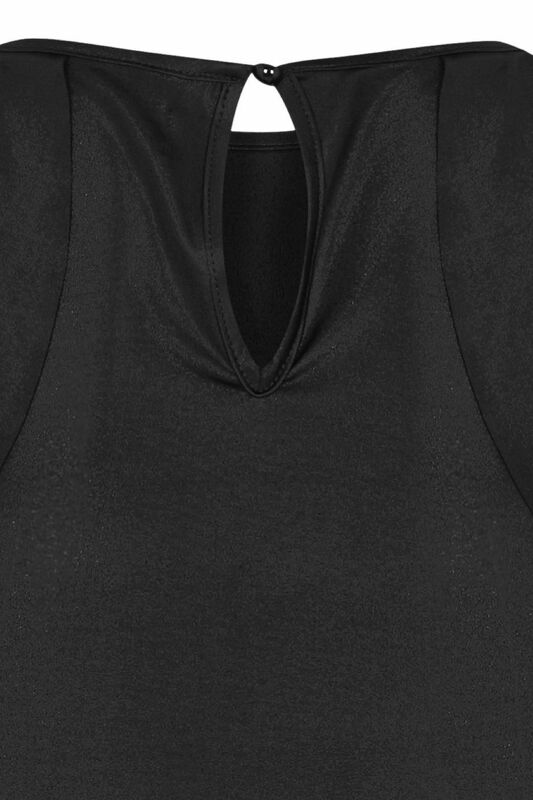 Composition: 97% Polyester, 3% Elastane. Color: Black.